Magic Source Near the Save Point after reaching the first house at the end of the left path. Aurora Armlet After reaching the end of the spiraling staircase once you reach The Forgotten City. Guard Source Inside the house that looks like a shell. It is in the top area of the house. Elixir Continue on the path until you reach another fork. Head to the house and it is in the bottom area. Enemy Skill Materia Located in the top area of the house where you found the Elixir, behind the top bed. 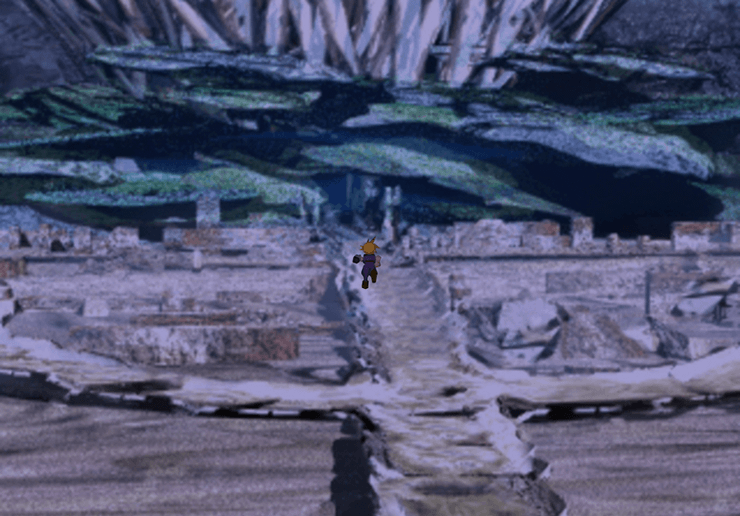 Comet Materia Located at the top of the building behind the lake when you go down the Forgotten Capital’s middle path. Viper Halberd Near the stairway, after you exit the house following the boss battle. Bolt Armlet Leftmost side of the wall where you need to climb. HypnoCrown After getting the Bolt Armlet, head down to the ledge and scale your way to the right side. Choose the option to go down. Megalixir The scalable crack on the right side where you got the HypnoCrown. Instead of going down, head to the very top. Magic Plus Materia At the bottom of the ladder in Corel Valley Cave. Power Source At the rightmost side of Corel Valley Cave, just before the exit. A fork in the road that splits into three paths. One to the left, one forward, and one to the right. At the Forgotten Capital’s entrance, where it branches out to three paths, head to the left. Enter the first house to find a Save Point and a treasure chest containing a Magic Source. 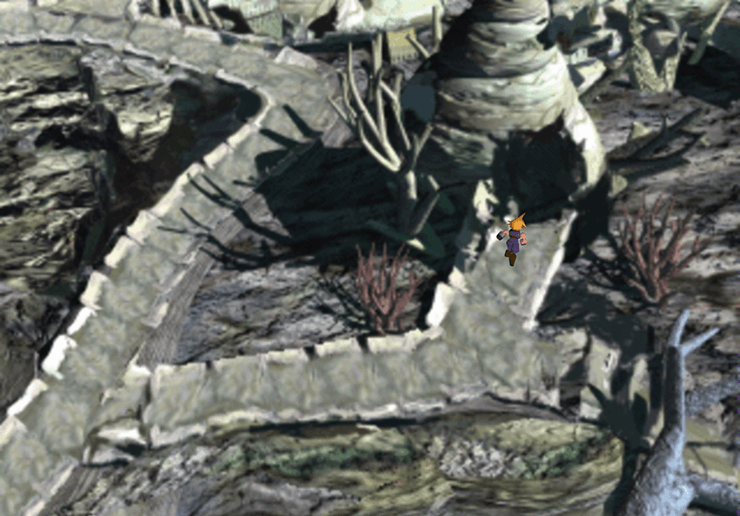 Continue heading down the path until you reach a spiral staircase which leads to The Forgotten City. Obtain the Aurora Armlet located at the end of the staircase. Head back to the branching paths at the Forgotten Capital’s entrance. Once you’re back at the Forgotten Capital’s branching paths, head to the right side. Upon encountering another fork in the road, take the rightmost path that leads to a house that looks like a shell and enter. Look for the Guard Source treasure located in the top area of the house. Go back to the fork on the road outside the shell house and take the other path until you reach another house. Go inside the house and look for a treasure chest containing an Elixir in the bottom area. Climb the ladder to the second floor of the house. You will then be given the choice to rest up and regain HP and MP. 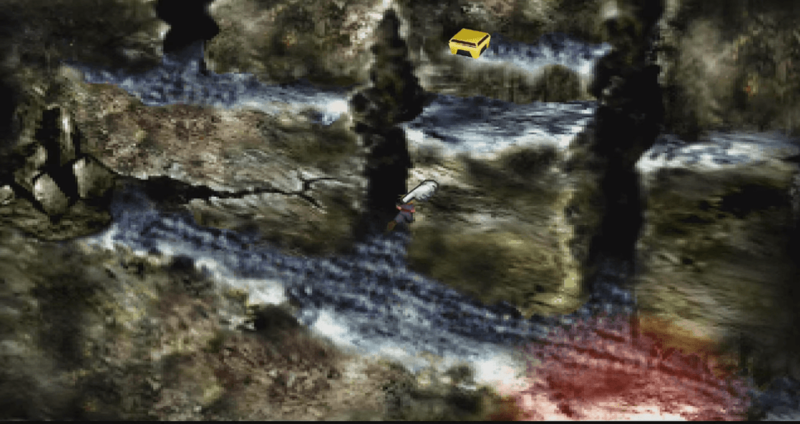 Head to the top of the house and check the treasure chest containing an Enemy Skill Materia hidden behind the top bed. Make your way back to the Forgotten Capital Entrance. Once you’re back at the Forgotten Capital Entrance, head down the middle path. 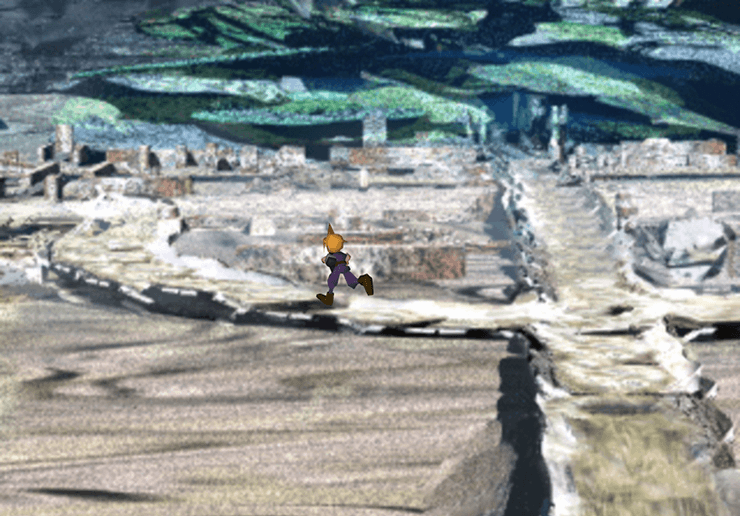 Enter the building behind the lake and get the Comet Materia at the top of the building. Look for the blue set of stairs and make your way down. Make sure someone in your party has the Water Ring you got from Corel Valley equipped, as you will encounter a boss battle soon. There will be a save point upon reaching the bottom of the stairs where you can save your progress. Continue heading down the steps to trigger a cutscene. 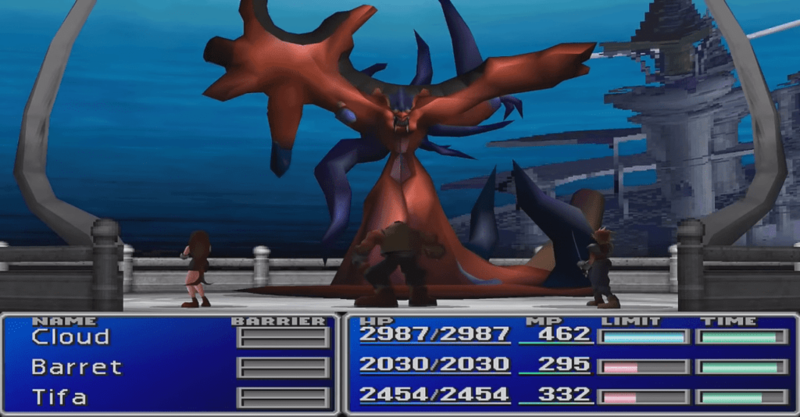 After the cutscene, your party will be prompted to a boss battle. You will get a cutscene after the battle. After the cutscene, get out of the house and head down the left path. Your party will come to another fork in the road and discuss which path to take. 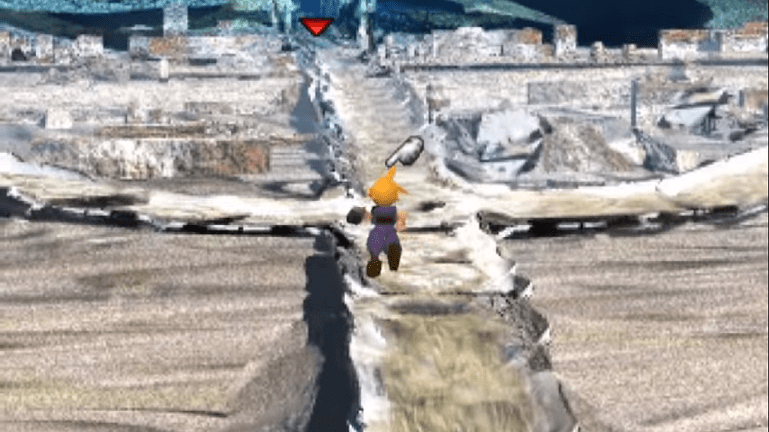 Head to Sephiroth by taking the path northeast. Before heading up the stairs, look for a treasure chest containing a Viper Halberd. Move your way up the staircase. This will eventually cause you to leave the structure and enter the Corel Valley Cave. Climb the walls. Climb to the left crack and choose to jump off to the left once prompted. Climb the left side wall again all the way up until you reach the treasure chest that contains the Bolt Armlet. Then, head to the rightmost area by scaling the wall. Choose the option to head down to get the HypnoCrown. After getting the HypnoCrown, head back to the crack and scale to the very top to get a Megalixir. Climb to the highest ledge and work your way toward the ladder. Head down the ladder to get a Magic Plus Materia. Head up the ladder and follow the path to the right. Look out for a Power Source before exiting Corel Valley Cave. You will be back on the World Map after exiting Corel Valley Cave. Head to the Icicle Inn by heading west. Make sure to hug the mountains to your right and you’ll eventually get to Icicle Inn.